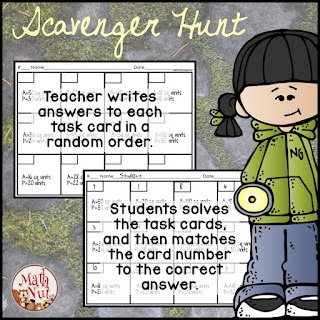 Classroom Freebies Too: Create Your Own Super Fun Scavenger Hunt! Create Your Own Super Fun Scavenger Hunt! 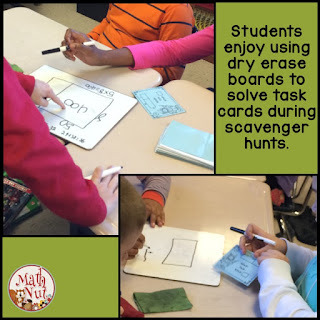 Create your own engaging task card scavenger hunt using ANY set of task cards. The first thing you want to do is pull out, purchase, or make a set of task cards. They don’t have to be fancy; they may be typed or handwritten. I so many bags of task cards it is ridiculous. My collection is eclectic; some are: laminated, printed on card stock, printed on copy paper, printed on color paper, printed with color ink, printed with black and white ink, handwritten, full page cards, ¼ page cards, created by students, purchased on TpT, etc. I usually place one task card on each desk in my classroom. If my cards are not laminated, I will slip them into sheet protectors to keep my students from writing on them. Using a set of task cards you will create a student record sheet by writing the answers in a random order on one of the four free templates. 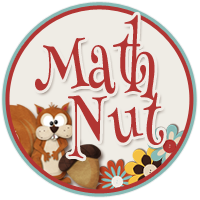 Your students will solve a task card, and then match the card number to the correct answer. Next, they hunt for their answer on the record sheet you created. If they find a matching answer, they write the task card number in the left corner of the box with the matching answer. If they don’t find a matching answer, students know instantly they did not solve the task correctly. I LOVE that this task gives students immediate feedback on their work. My students turn to their peers and me for assistance when they are unable to correct their mistakes. I am able to have short, meaningful conferences with students as they come to me for help. 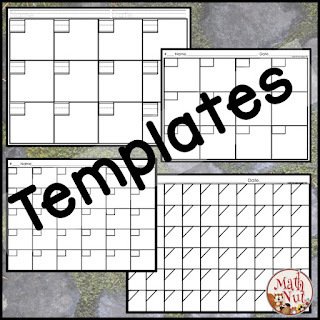 Click here to get you FREE Task Card Scavenger Hunt Templates!